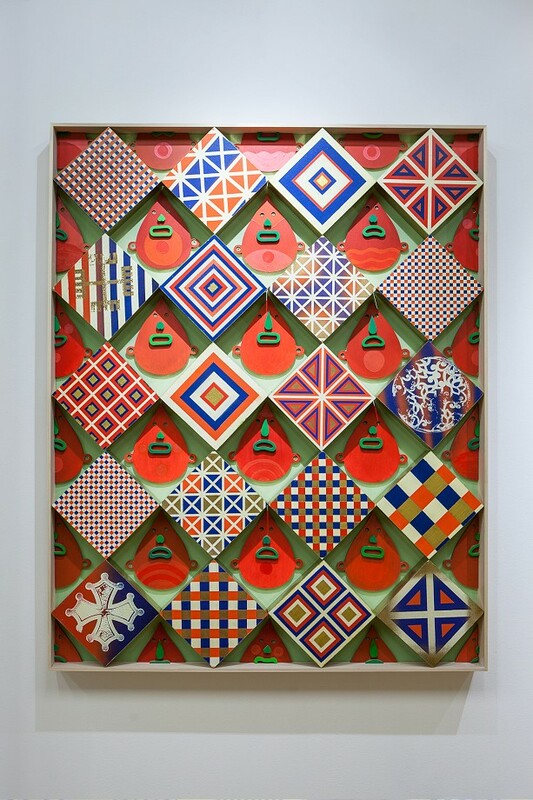 Galleria Patricia Armocida is currently showing the Italian debut show of young Brazilian artist Raphael Sagarra aka Finok. 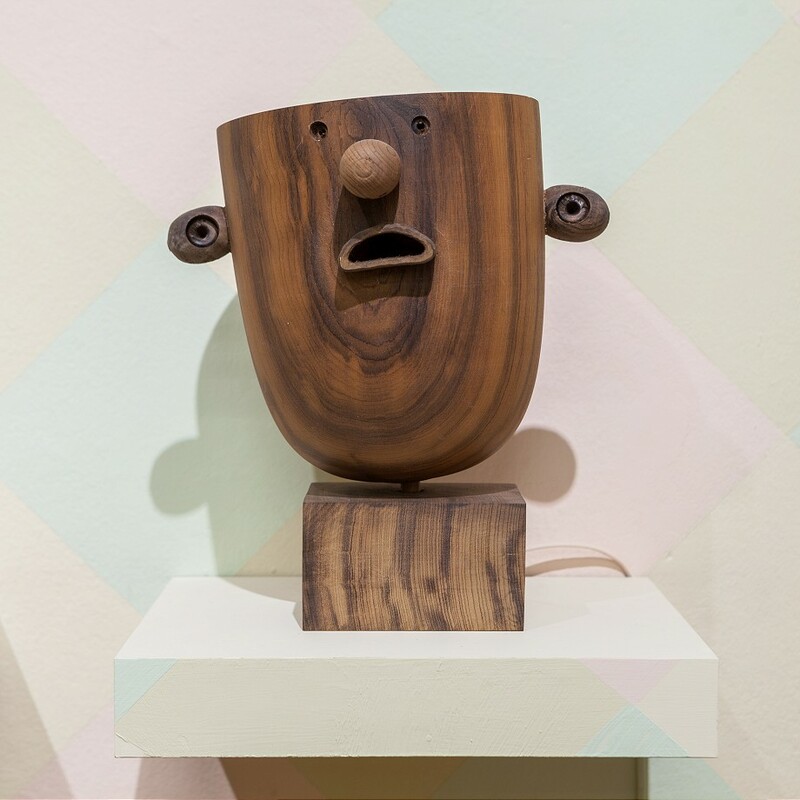 Sorrir e Chorar looks like his most accomplished exhibition to date, including various styles of works that show his seemingly endless creativity and diversity. 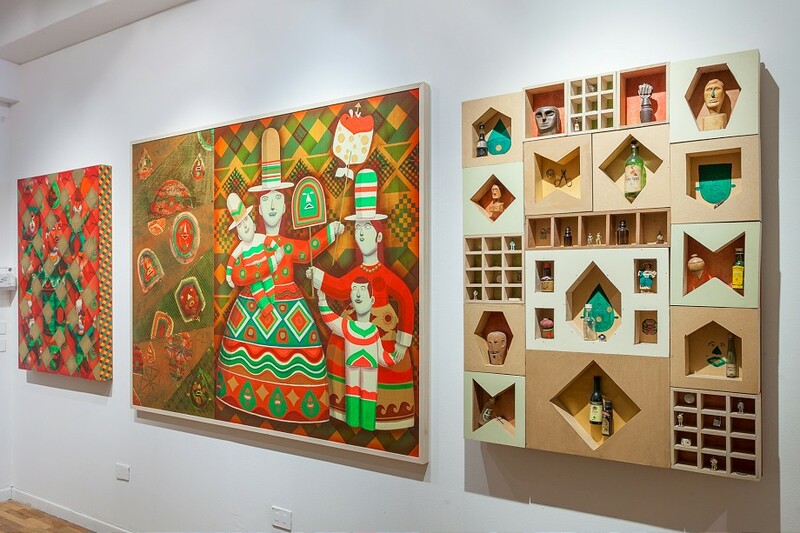 Through his previous shows, the São Paulo-based artist was working with different mediums to blend his imagery with different familiar and mostly traditional objects. Rebuilding a traditional Brazilian Botecco bar or reusing children toys such as Pipas and Baloes, he always found a great way to apply his aesthetics with existing concepts. 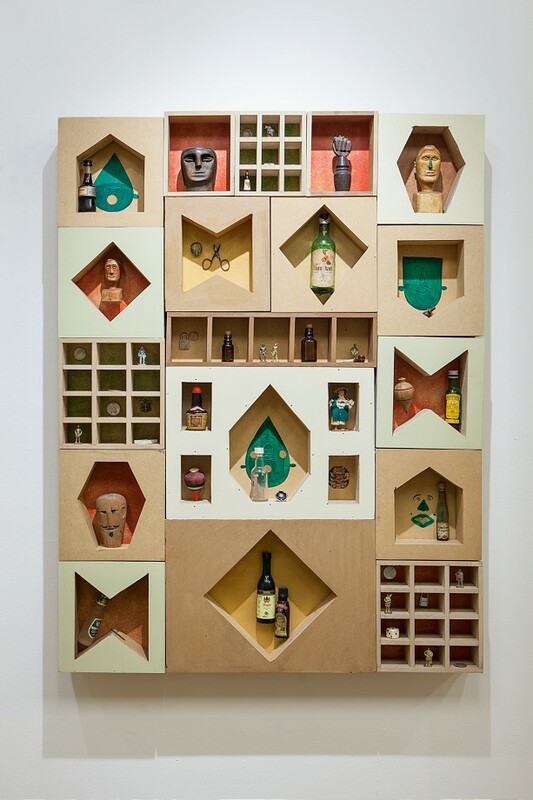 In his current show, he is mastering this idea by creating various independent sections that merge perfectly into a coherent installation. 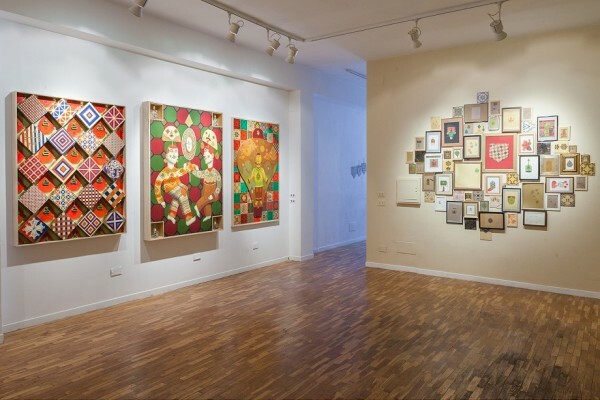 Six medium-scale works on canvas and wood are continuation of his previous works, with the addition of new tones, colors and some new concepts of mixing sculpture and paintings. 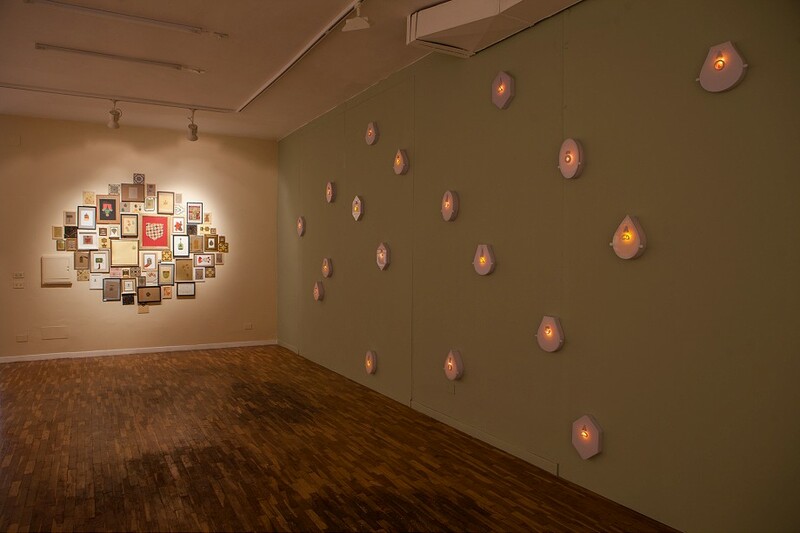 These are displayed nexto to fifteen drawings that are joined in a McGee-like cluster, which is right next to a site specific installation made of dimmed lampshades with his signature character faces. 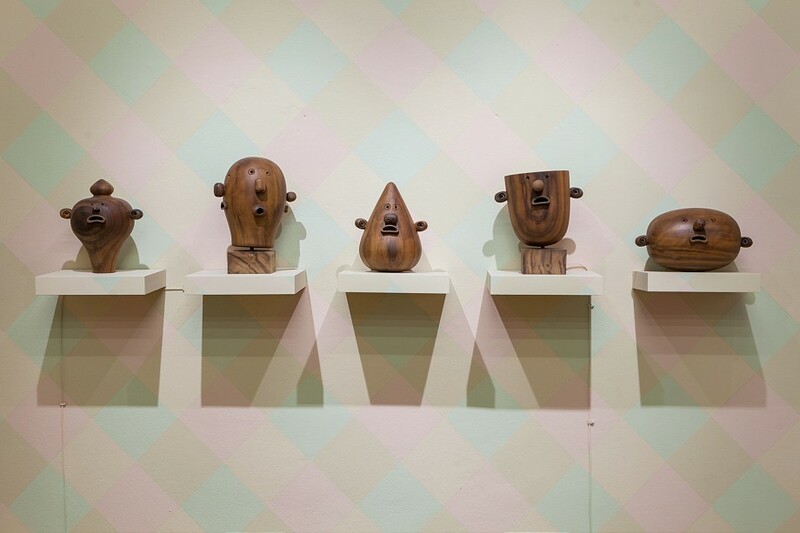 Along with these, the artist created couple of sculptural works such as a series of wooden busts, a bar-inspired installation, as well as a large hot air balloon piece. 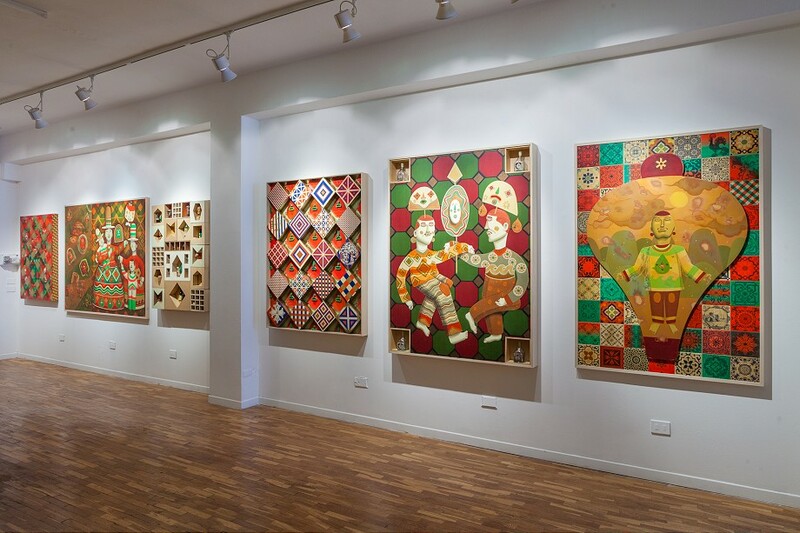 By taking inspiration from traditional Brazilian games and rituals, the works are representing the colorful and vibrant life of his hometown and homeland, both with its festive and survivalist elements. The show will stay on view through November 27th so make sure you see it in person if you’re in Milan. Categories: Installation, Sculpture, Shows & Events, Street & Urban Art. 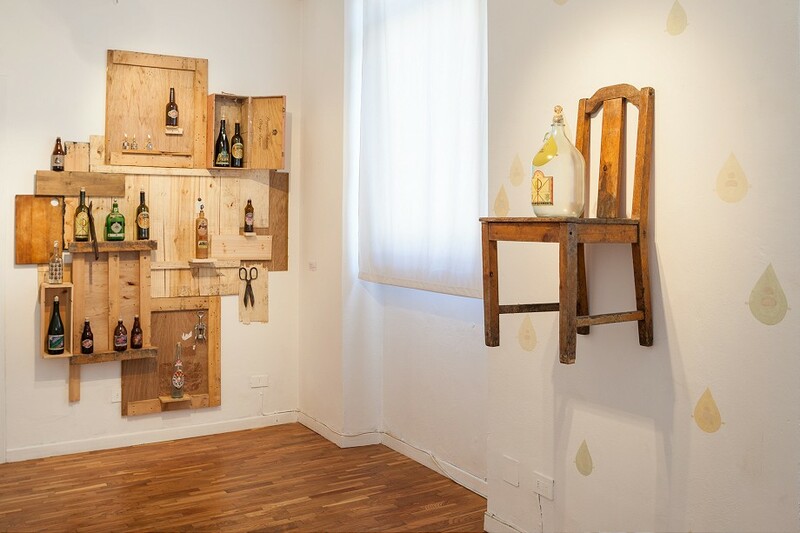 Tags: Finok, Installation, Milan, Sculpture, Shows & Events, Street & Urban Art.